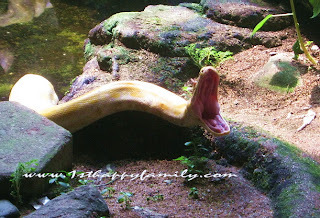 These snakes were captured at the snake area inside the Ragunan Zoo (Jakarta, Indonesia). I noticed that there are tens of them in one large cage. All pics were taken through thick display glass. It’s hard to take clear shots as the glass is rather dusty. The Burmese Python (Python molurus bivittatus) is the biggest subspecies of the Indian Python and one of the 6 largest snakes in the world, native to a large variation of tropic and subtropic areas of Southern and Southeast Asia. 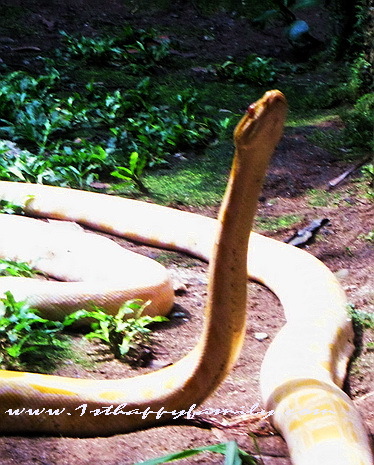 The Albino Burmese Pythons begin life as bright orange and yellow on a white background color. 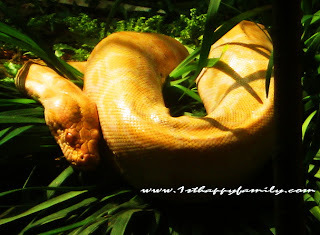 Nowadays, the Albino Burmese has become very affordable to get as a pet. These snakes will grow very large, but usually have very calm and deliberate temperaments (source:constrictors.com).